When traveling, think of the acronym S.L.E.E.P. to remember the following action steps to help avoid taking bed bugs home with you. Lift and look for all bed bug hiding spots. During the day, these nocturnal insects disappear in crevices associated with mattresses, box springs, sheets, furniture, upholstery and hollow bedposts, as well as crevices behind baseboards, pictures and even torn wallpaper. Make sure to lift and look around all possible hiding spots for bed bugs in the hotel room, not just the mattress. Because bed bugs can be extremely difficult to eliminate, treating for an infestation requires the use of a licensed, pest control professional with specific experience in treating for these pests. 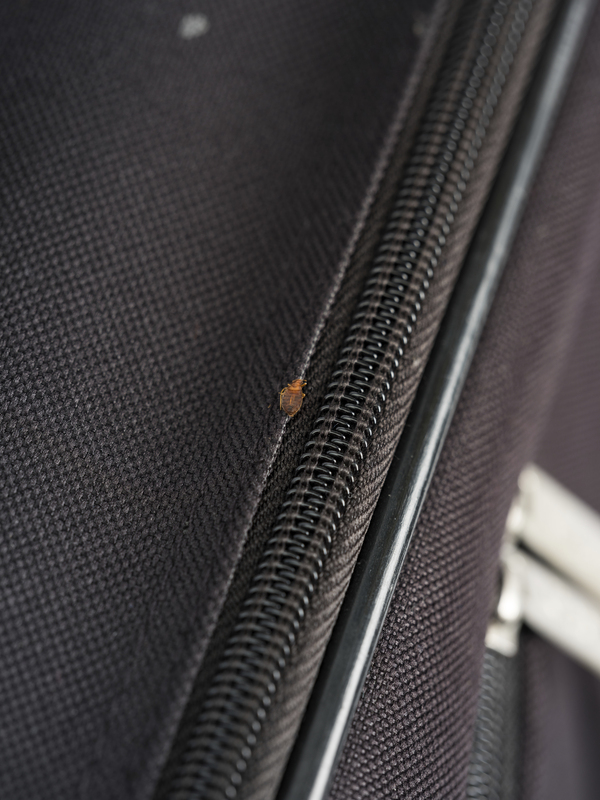 Click here for a printable bed bug tips for travelers guide with easy steps to help you avoid bringing bed bugs back home as a vacation souvenir.